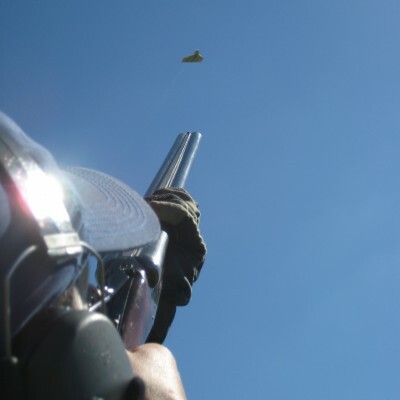 We take clay shooting to a whole different level! It has taken 20 years to create what we believe to be the perfect array of drives at Hilldrop and the result is a million miles away from other simulated shoots where the same 70 ft bird is presented in different locations and dress it up with the promise of firing 500 cartridges. 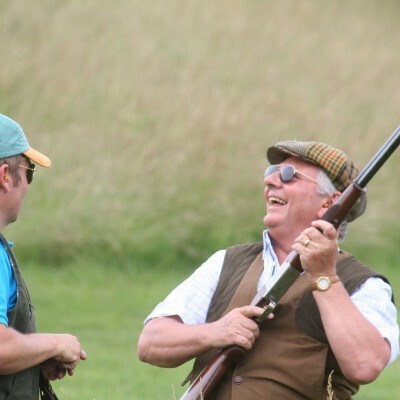 Where else can you shoot at traditional game such as Partridge, Pheasant, Duck, Woodcock and the Wiltshire Grouse before turning 'Game keeper' with vermin control including Rabbits, Rats, Coots, Pigeons and Magpies and finally to 'Poacher'- shooting at the very rare, Flying Squirrel, exploding Hares and Gnats? This half day ‘Big Bang Fix’ might be seen as the shooting equivalent of the 20/20 cricket revolution. It includes 3 high octane drives and the added madness of sorties of Flying Gnats and Laporte Archery. We meet at the shoot room by 12.30 for a sumptuous banquet and will shoot for 3 hours and finish after tea at around 5.30pm. Hilldrop has a history of introducing live game to youngsters. 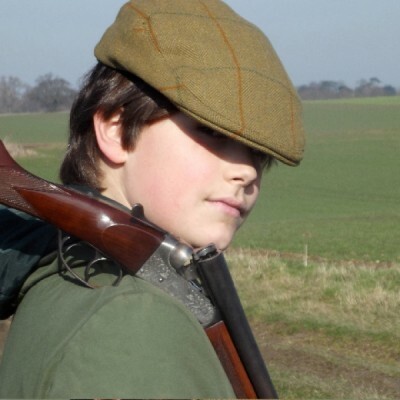 It is often frustrating for young novices if there is not enough to shoot at or very expensive if you take it 'little Jimmy' to a large day, armed with a Four Ten shot gun! Hence we have developed our Young guns days to include three of our simulated game drives and a chance to fire semi-automatic paintball guns at flying targets. 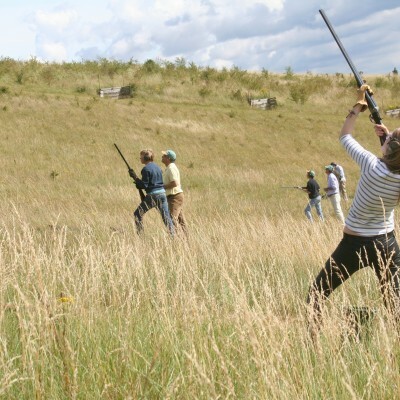 This can be extended to a full day by introducing a morning of falconry and hunting. Chris Neale of Hawkeye will come down and fascinate your team with his birds of prey, allowing your children to handle and fly the birds, before taking them hunting. This is a shorter version of our full corporate day designed for teams with limited time or budget. It is still designed for 16-20 people and you will shoot three full, high octane drives - typically lasting around 3 hours. 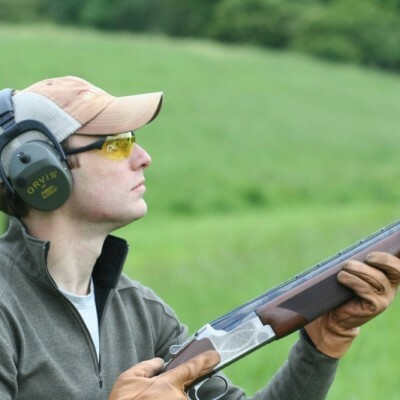 We are happy to design the shooting around your specific needs and we offer both afternoons (2pm start) and summer evenings (4:30pm start) with the option of food before or after if you wish. Set at our Wildfowl and Vermin drive, competitors will be placed in a specific station from which they will shoot each of the 6-8 traps. Having ‘flushed’ the traps from that station you move to the next and by doing so will have materially changed the angles. We will also give you a chance to replicate Peter Wilson’s Olympic heroism at the double trap. Typically you will be tested with french partridge, crossing pigeons, coot, rabbits, crows, ‘loopers’ and teal and at some point, you will be shooting aloft from our "Treehouse Tower". 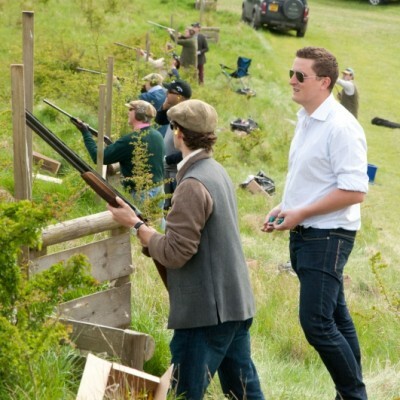 To end the session, you will shoot our signature drive, the wildfowl and vermin, as a team. Grouse must be the ultimate field sport and if you are about to be let loose on the fastest game bird on the planet, hugging the heather and turbocharged by a 50 mph wind, shouldn’t you nip off for a sneaky practice? We start at our dedicated grouse training ground to get you swinging. These are "real" grouse flying at you, away from you, across you and below you ... not a low fast partridge that many shooting schools present. This is your ground for the day and you will know your weaker areas. Let’s see if we can sort these.